"Lee Phillips will captivate your audience, help make your event a success, and help your attendees change their lives for the better." Lee Phillips is an attorney…but don't hold that against him! He also happens to be one of the nation's most engaging, dynamic asset protection speakers. His mission is to help people use the law-- to protect what they've worked so hard to build, and make money…by using the law… not working harder. Could a lawyer be a motivational speaker too? Lee's presentations lift everyone who hears them and changes many lives. Plus, he helps people with one of the most important pieces of their lives. The path that led Lee to become a nationally recognized speaker on asset protection and money making techniques using the law is a spell binding story that often leaves many in the audience with damp eyes. Lee never dreamed of being an asset protection/tax lawyer, but life isn't what you expect. At age 27, Lee spent five months in a university hospital intensive care unit, and he watched the legal system take everything he and his young family had. It's this experience that drives him to share, from personal experience, the importance of asset protection, tax reduction and helping others avoid personal disasters. 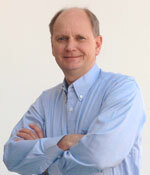 Lee will share specialized strategies that he has been handsomely paid to develop for his wealthiest clients. Now you and your attendees can use them too. 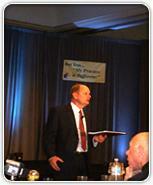 Lee has given over 3000 event presentations throughout the US, Canada and the Pacific Rim. He has authored 19 books and numerous articles. Over the last 30 years he has helped over a million people understand the law and how to use it to make more money and protect their assets. His ability to present critical information in a clear entertaining manner has made him a highly sought-after guest on hundreds of radio and television shows. His presentations walk you through how to make money and how to keep it using the "tools of wealth." Nobody ever gets rich without understanding the "tools" that create and protect wealth. Make an extra $10,000 to $20,000 in the next twelve months using the three tax concepts explored in the presentation. Many legal tools can be used to implement the concepts without any IRS concern. Develop and implement a plan within 60 days using at least two legal entities (corporations, LLCs, benefit plans, retirement plans, family limited partnerships, trusts, etc.) to protect their business and personal assets from lawsuits, creditors, identity thieves, and other legal and financial attacks. Immediately implement a personal estate plan to avoid costly probate, losing up to half their estate to taxes, and family conflicts at a time of grieving. The personal estate plan includes a will, living revocable trust, durable power of attorney and living will. More important than just having the legal documents, attendees will learn how to use the documents…rather than have them just sit on the shelf and do nothing. Most people pay thousands but never learn how to use the documents to help them profit. The papers just sit in a drawer. Protect assets by stopping "identity theft" in it's tracks. Identity protection is critical for everyone in today's 'internet world'. Understand the 5 GRAVE threats to financial security and know how to protect against them. Avoid probate, and immediately take action to structure an estate properly in order to avoid many other legal problems. Just having a living trust document does not avoid probate. Learn how a simple tool will help save over $700,000 in estate taxes.